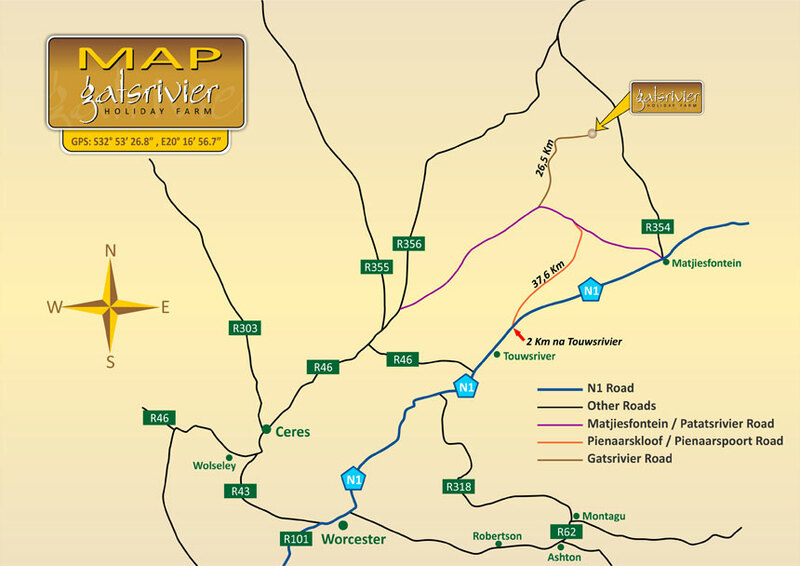 Follow the Calvinia/Sutherland road from Ceres. We are 27km from here. Plus-minus 3.2km from the Steers at the last garage on your right, just outside of Touwsrivier, turn left onto the Pienaarskloof road (dirt road). 15.6km from there, turn left at the T-junction. 3.8km from there, turn right at the Gatsrivier sign. 12km further, turn left at the second Gatsrivier sign. When you reach the stop sign, please talk to us here. Push and hold the red button and speak in the small hole below.